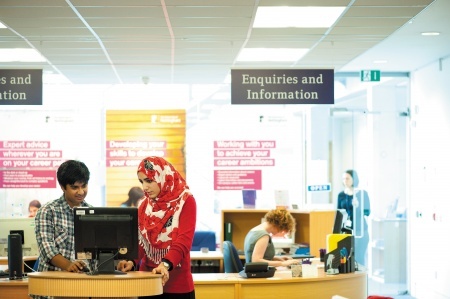 More careers support for Nottingham students. 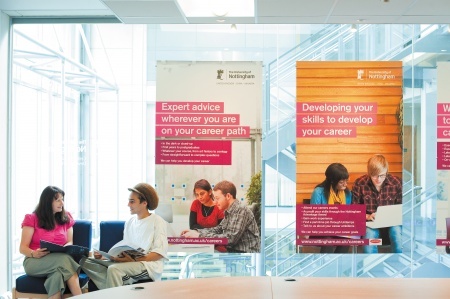 The University of Nottingham has invested in a major expansion of its Careers and Employability Service intended significantly to enhance provision for students. 22 new members of staff have been recruited and have started work in the last week. Five Faculty teams have been created – they are managed by a Faculty Employability Consultant and consist of Senior Careers Advisers, an Employability Education Projects Officer and an Employability Officer. These teams are constituted in order to provide a broad range of skills and experience from individual career guidance, career development learning, advice and CV support, workshop delivery and the creation of learning and development materials/programmes, employer engagement, event organisation, and student engagement. The Faculty teams will also draw upon the expertise of our central team for e-information/web content, statistics, employer engagement, Unitemps, Nottingham Advantage Award, employability education, e-mentoring and administration. A Global Labour Market team has been created and currently comprises three members of staff covering China, Malaysia and UK. This team will be proactively seeking opportunities for students and graduates globally and will be primarily focused on business engagement and labour market intelligence. A School Employability Fund has been launched to give support to school/faculty-based employability projects. These are really important developments. The 22 new members of staff are now involved in a two week induction programme (as part of which I was very pleased to meet with all of them), which is introducing them to the work of Careers and to key aspects of the University’s activities. The objective here is to enhance the employability of Nottingham students and graduates and to deliver, in partnership with Schools, an effective, professional and tailored service. I think this is a striking confirmation of the commitment of the University to the Careers and Employability Service and the development of our students. It represents a significant investment for the future. This entry was posted in Admin, employability, HE, international, Management, Registrar's Department, Students, University of Nottingham and tagged Administration, campus, careers, employability, HE, international, Students, University of Nottingham by Paul. Bookmark the permalink.